Offering the best value in Houston hotels, SpringHill Suites Houston Hobby Airport is an all-suite hotel only 1.5 miles from the airport and features free-shuttle service. Guests at our Houston Hobby hotel enjoy close proximity to the convention center, Reliant Park and the Houston Zoo. 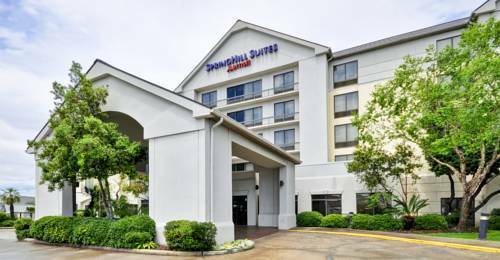 SpringHill Suites in Houston offers 25% larger rooms than standard hotel rooms, with separate living areas for working, relaxing or sleeping. Start your day off right with a free, hot breakfast and take advantage of our 24-hour business center, with printing, copy and fax service. At SpringHill Suites Houston Hobby Airport Hotel, we make relaxation easy with a refreshing outdoor pool, fitness center and luxury bedding in every room. Were also an ideally located choice in Houston suite hotels, close to shopping, dining and many exciting attractions. We surpass other Houston airport hotels by offering a great combination of location and amenities for corporate or leisure travelers.